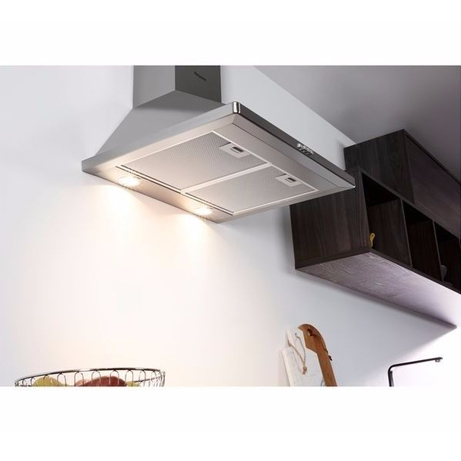 This Hotpoint Cooker Hood is a chimney style hood finished in a modern stainless steel finish measuring just under 60cm wide. 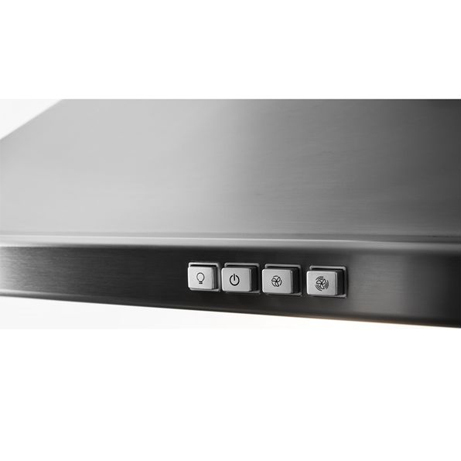 Controlled via electronic soft touch buttons, this stunning model will be the focal point of your kitchen. Comes with two halogen lights which provide warm ambient light to complement your room and illuminate your cooking space. Three speeds are on hand to quickly and effectively remove steam and odours as well as a charcoal filter provides easy maintenance. 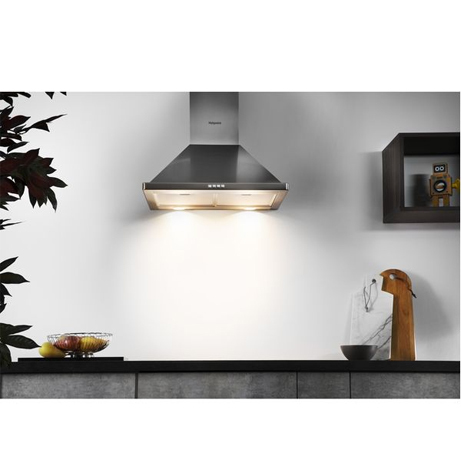 This stylish Hotpoint 60cm Chimney Cooker Hood is an ideal choice for every kitchen. 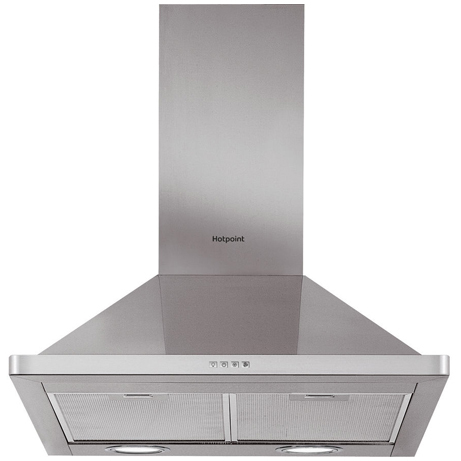 In a sleek pyramid design with a stainless steel finish, this Hotpoint chimney cooker hood will fit into any contemporary or traditional home. Measuring 60cm wide, this hood comes with easy-to-use soft touch buttons, which put 3speed controls and 2 bright, illuminating halogen lights at your fingertips. Two powerful charcoal filters will capture grease, food splatters and unwanted odours too, guaranteeing that your kitchen will look and feel fresh and clean, without the effort!